I found this nymph wriggling in the surface film during a hatch of related Strophopteryx adults. This nymph died in transport so it's not alive in the photos, but it's pretty close to its live colors. 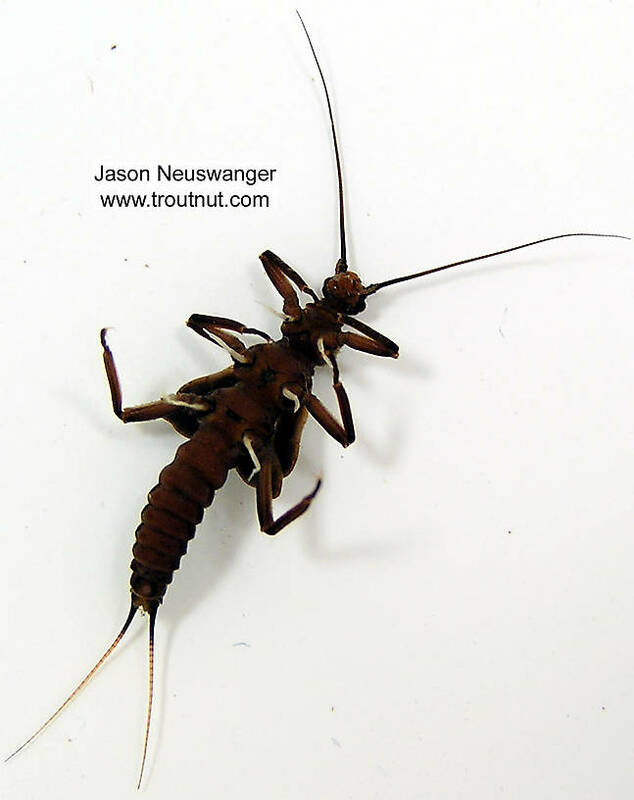 This stonefly was collected from unknown on March 18th, 2004 and added to Troutnut.com on January 25th, 2006.